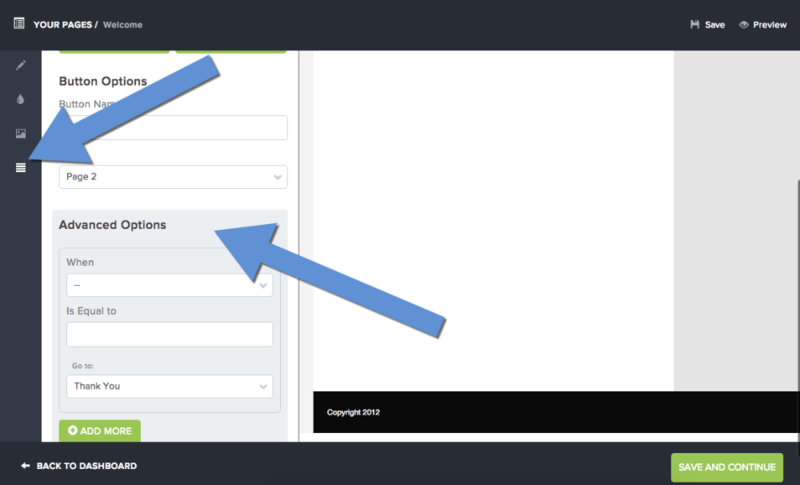 Form Submission Rules allow you to redirect your visitors to specific pages based on how they answer questions. You're able to ask your visitors what their favorite color is and create "rules" to redirect visitors to specific pages, based on that answer. 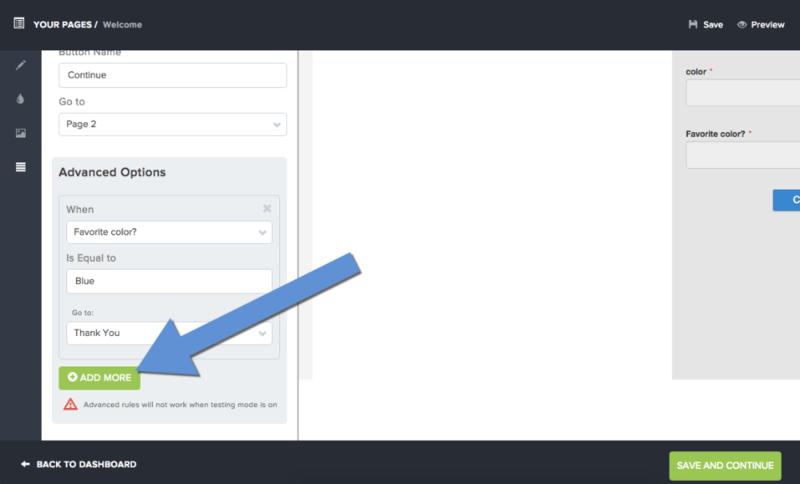 In the Landing Page editor under the Form button, you'll find the Advanced Options section. To define how you would like to handle a redirect based on the answer to a specific question. If you only see one option in the "Go To" dropdown, you first have to create a new page to send the visitor to. Use the " Add More" button, to create additional redirect rules.